My friend Miriam always makes the most wonderful and tasty preserves of mango, papaya and pineapple. These fruits are staples where she grew up, just like apples and pears are staples here. 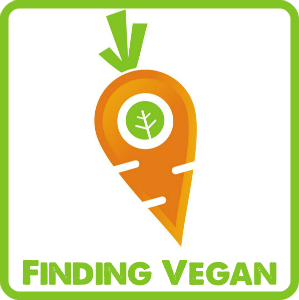 Even though I am more used to preserving with local produce I sometimes look for inspiration from more faraway. And while doing just that, I have especially enjoyed Miriam’s preserves. 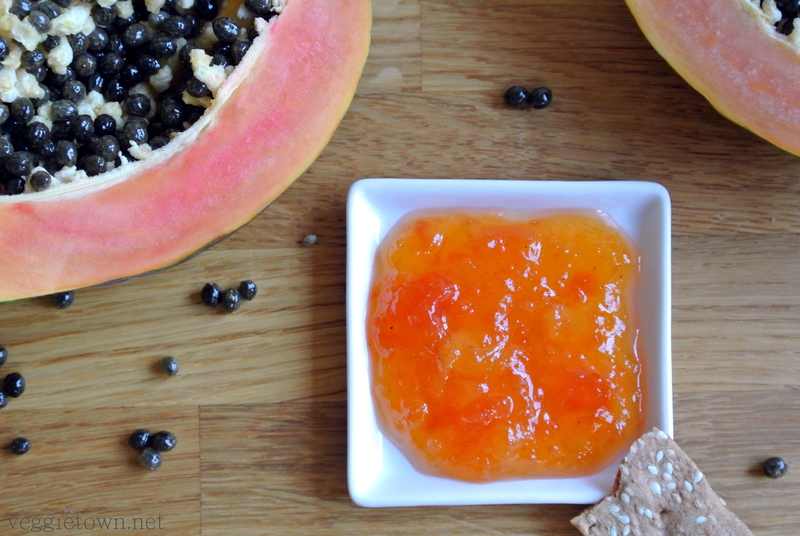 This jam is inspired by all of them and also my first attempt on a preserve made of papaya. I am more than happy with the result. 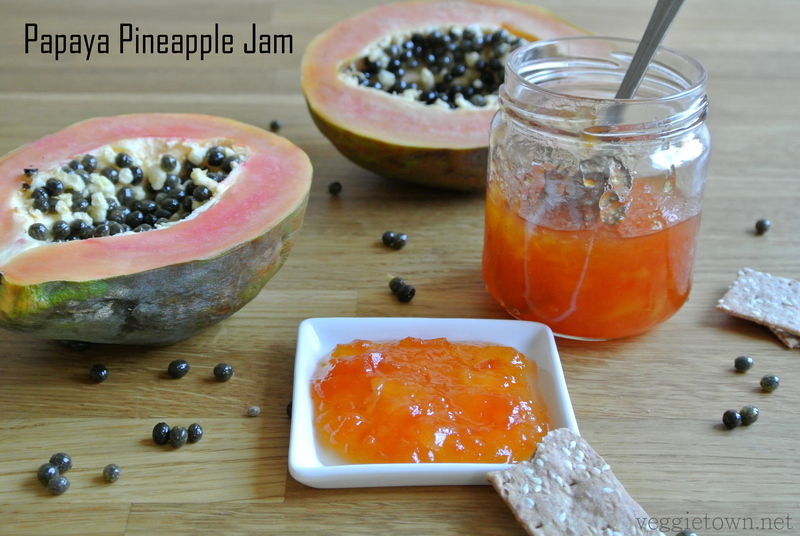 The jam turned out great with a nice blend of papaya, pineapple and with a hint of vanilla. The amount of sugar in the recipe is fairly low, due to the amount of natural sugar in the fruit. So far, we have eaten the jam with different types of bread and it has been delicious, but I also believe that adding it to a cake would be a winner! Remove the skin and the seeds from the papaya and the skin from the pineapple. Dice the fruit in smaller pieces and place in a large sauce pan. Add the sugar, water, seeds from the vanilla pod and juice from one lemon. Bring to boil and then lower the heat. Let it simmer while stirring every now and then. Remove any foam that forms on the surface. The jam is done after approximately 40 minutes or when it reaches 105°C / 221°F. If you want a finer texture without to many whole pieces of fruit just remove from the heat and let your stick mixer do the job. 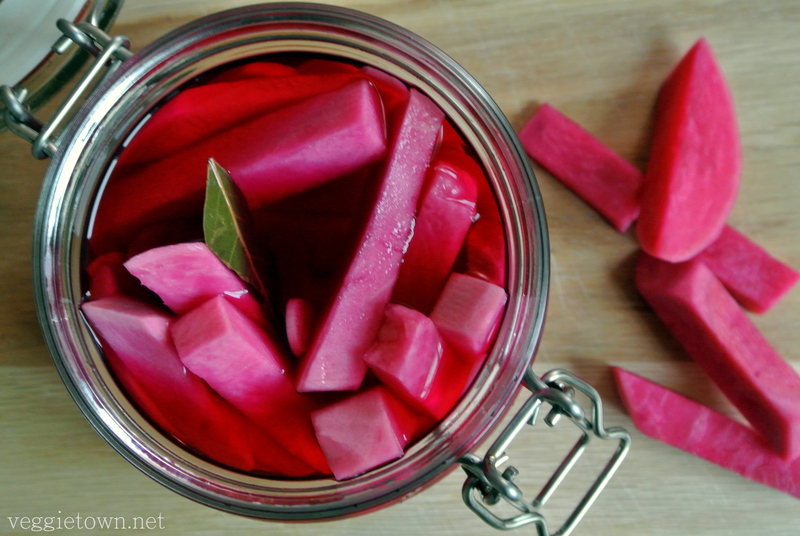 Make sure to give it all a quick boil before ladle the jam into sterilized jars.